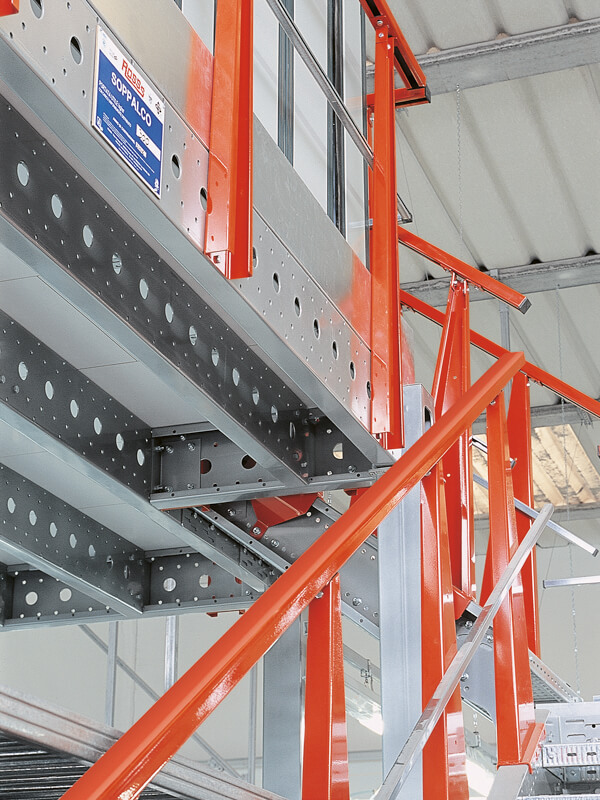 Mecano is a mezzanine without welding, since the whole structure is assembled with bolts. 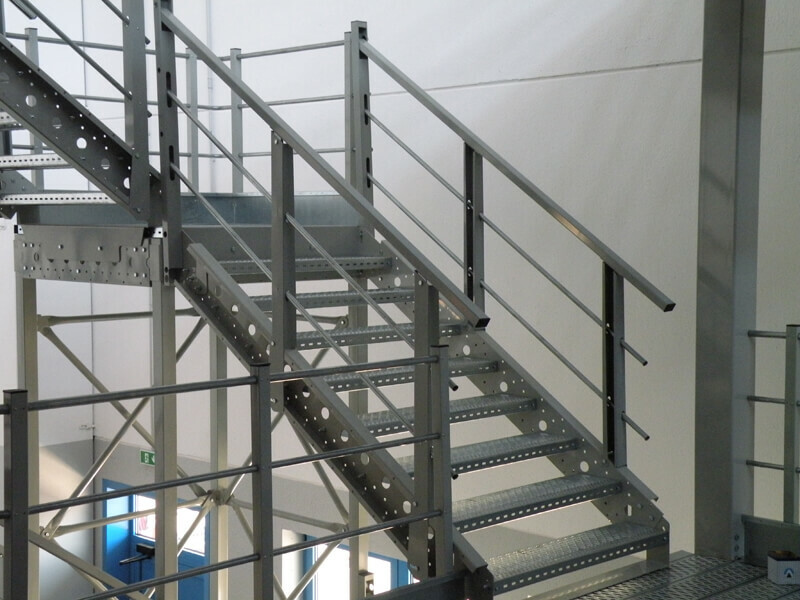 MODULAR AND EASY TO ASSEMBLE, IDEAL FOR MULTI-STOREY PLANTS. 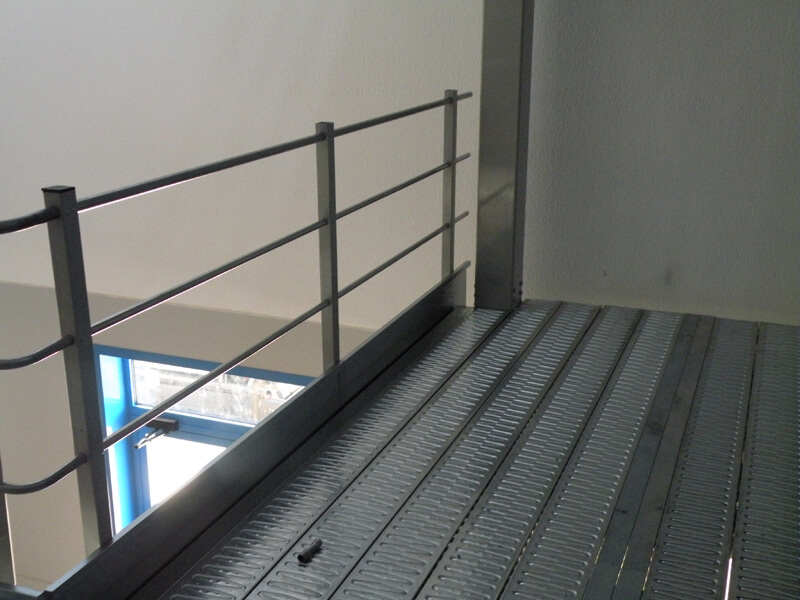 Thanks to its bolted structure it does not require the help of special means to be mounted and also allows the adjustments that are often necessary at the time of installation. 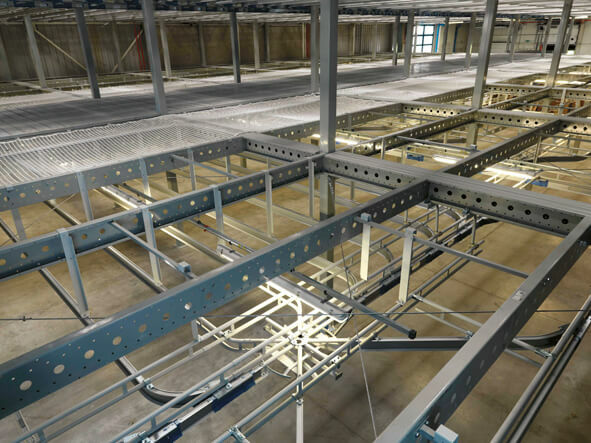 The wide range of available sections, both for the beams to the columns, allows to safely build multi-storey mezzanines and higher structures, with further capacity performance and with more free spans, with consequent great advantages of specific uses. 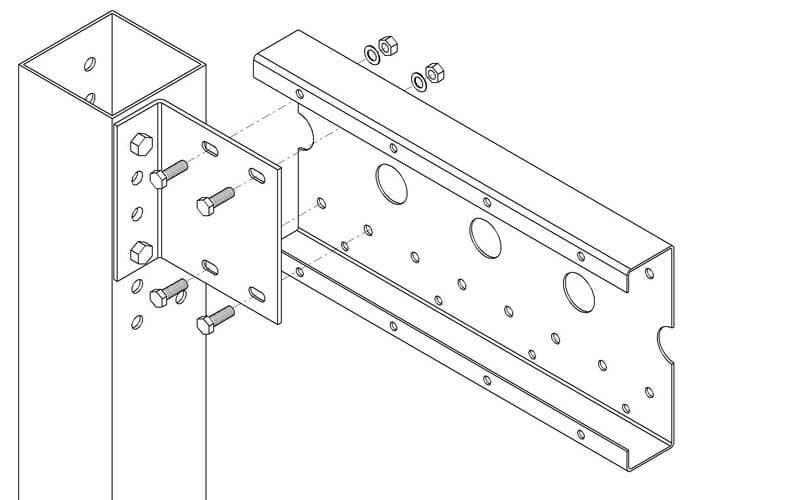 ROSSS has an excellent engineering background in the construction of earthquake-resistant structures, as demonstrated by the patent obtained for anti-seismic bases, a collaboration with the University of Florence and Athens and the wide range of technical solutions adoptable on MECANO that will ensure your safety in earthquake-risk areas. ROSSS installs the first anti-seismic plants in 1996 in Bologna and in 1997 in Umbria. 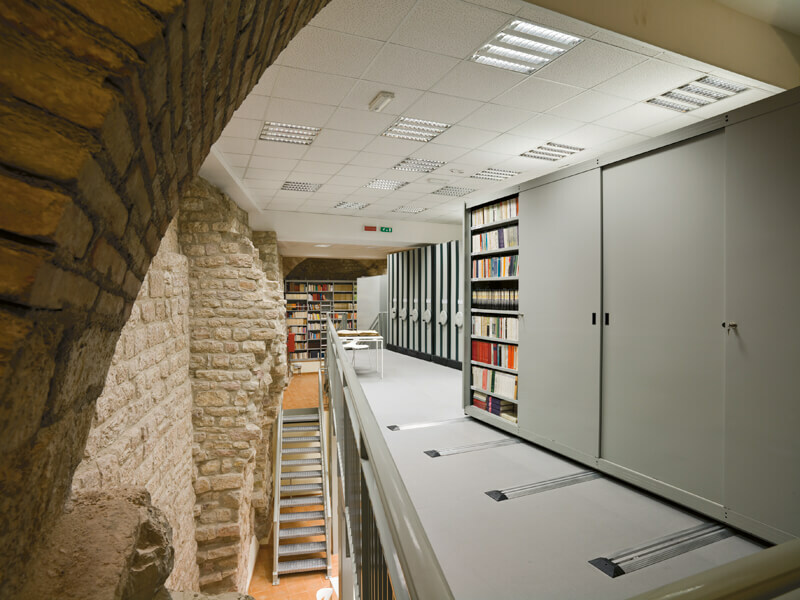 ROSSS performs important tests on the Vibranting Table of the University in Athens. 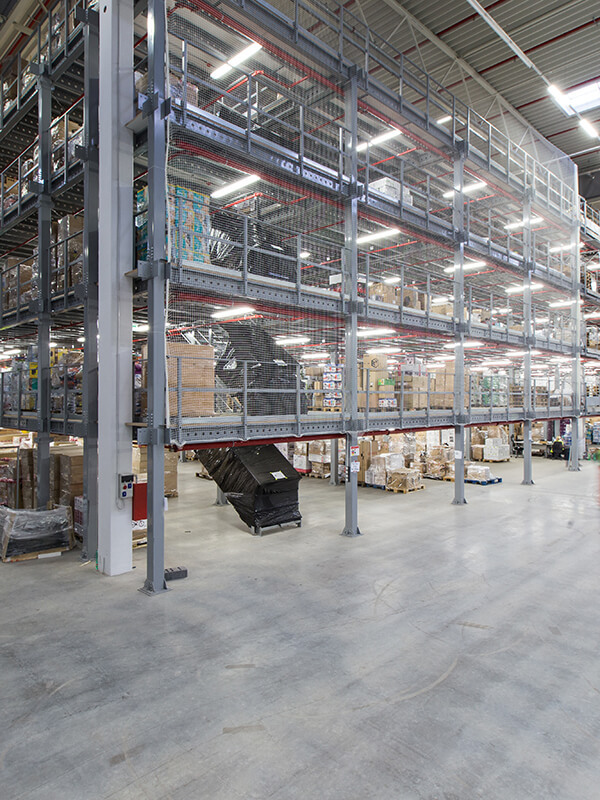 ROSSS collaborates with the Faculty of Engineering of the University of Florence and CISI for the drafting of the first regulation on anti-sismic pallet racks. 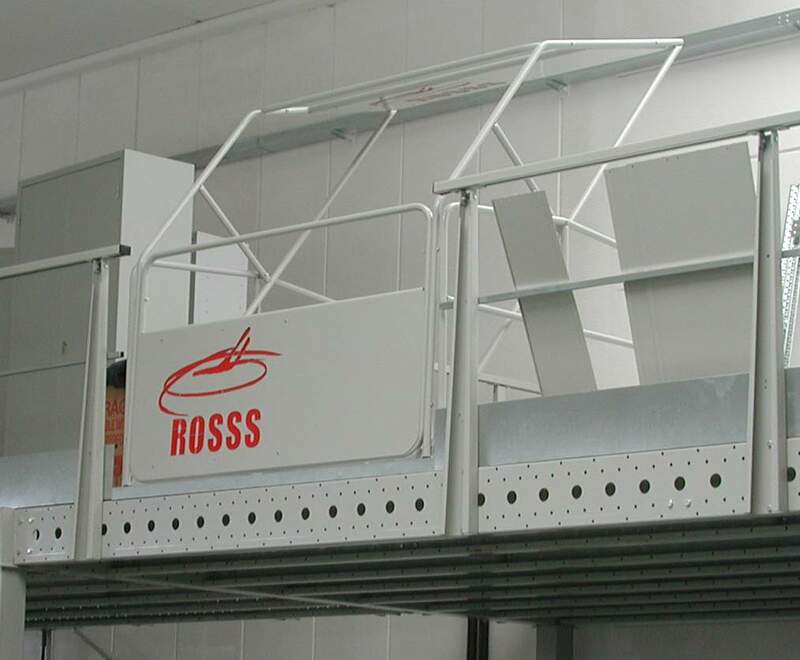 ROSSS designs CHEESE TREE, the first seismic rack specific for the dairy industry. 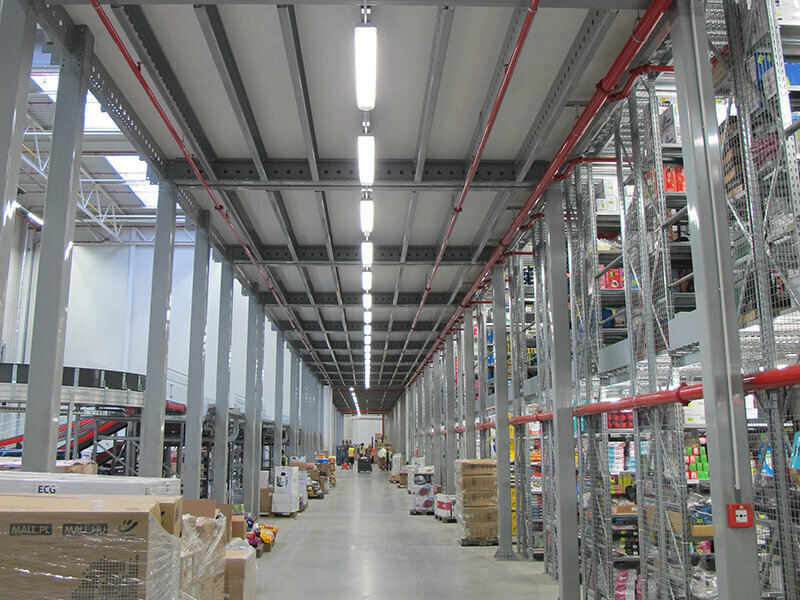 ROSSS delivers the first anti-seismic TREE CHEESE warehouses to the dairies hit by the earthquake only four months before the earthquake in Emilia and Lombardy. 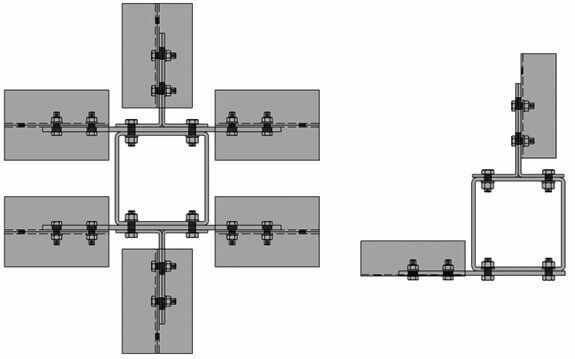 greaterer capacity and greater distance between columns (free spans). 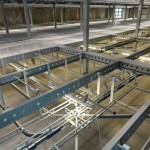 More performance: direct connection of the beams to the columns. Increase of performance and free spans. 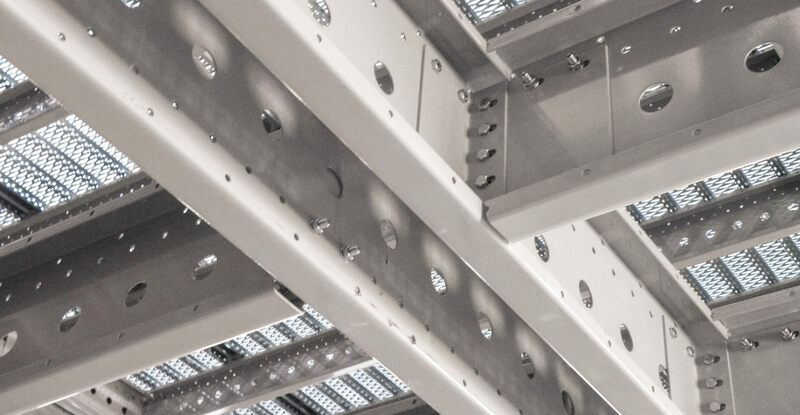 Mecano is designed to always guarantee the direct connection of the beams on the columns in the two main directions, so as not to create eccentricity in the static scheme, which is particularly important in earthquake zones. More safety: total absence of welding. 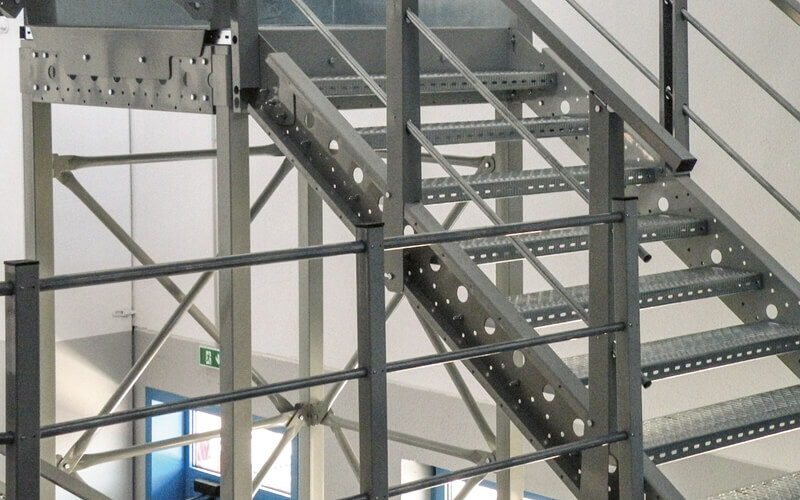 The whole structure is assembled with bolts. The welding is a technical processing that requires high professionalism and which therefore may be subject to potential execution errors with very serious consequences for mezzanine safety. For this we have totally eliminated the weldings. 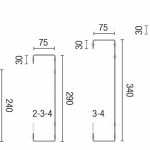 More flexibility: Component drilling. The whole structure is assembled on site. 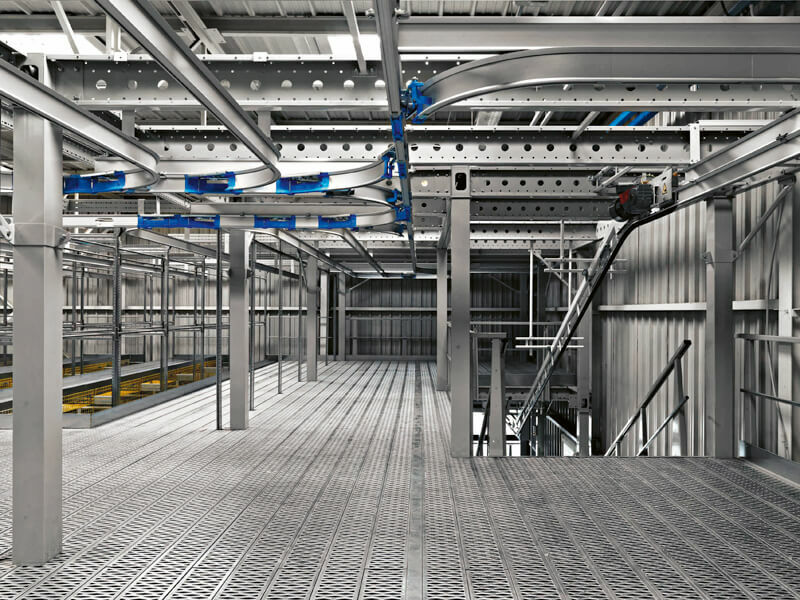 The whole structure is conceived and designed to be built or modified at any time where it is assembled and not be taken to the plant. 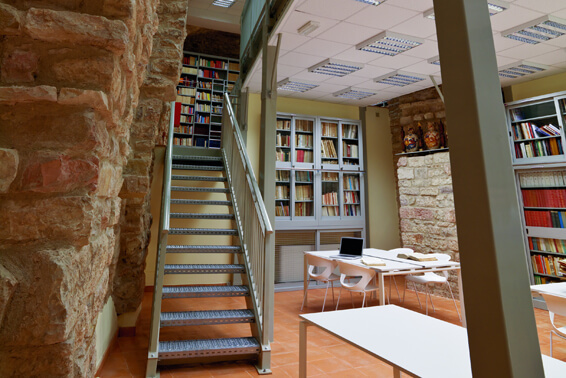 Furthermore, the pitch drilling of beams facilitates the passage of the installations. More modularity: modular units. 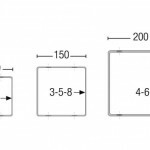 For the following expandability of the plant. 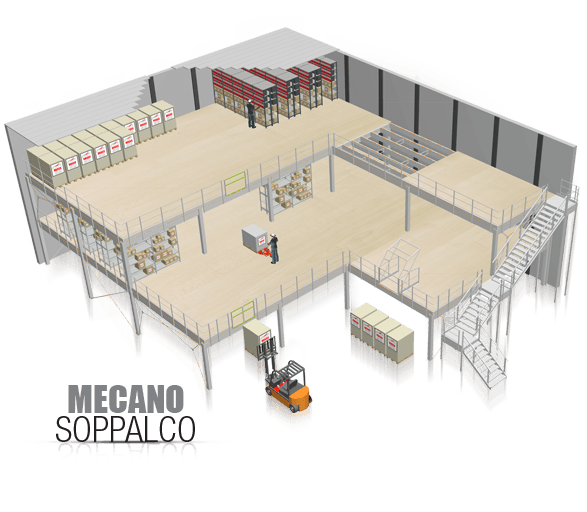 All of Mecano elements are modular to allow to easly and cheaply expand or modify the system at a later date. Easier anti-seismic adjustment. 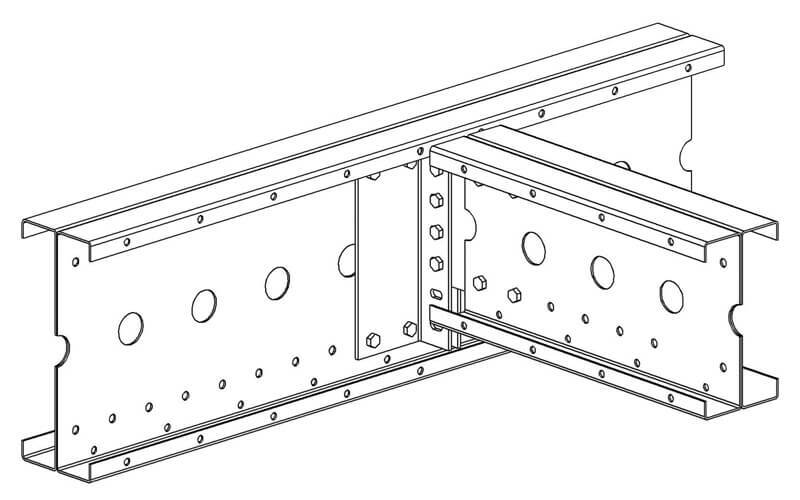 Simplified insertion of diagonal bracing. 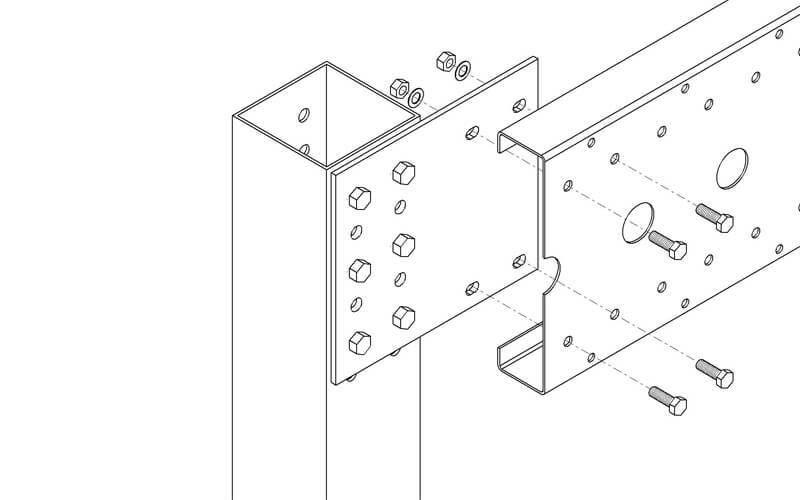 Mecano, thanks to its modularity, makes easier the insertion of diagonal bracing in the case of improvement and / or anti-seismic adjustment. 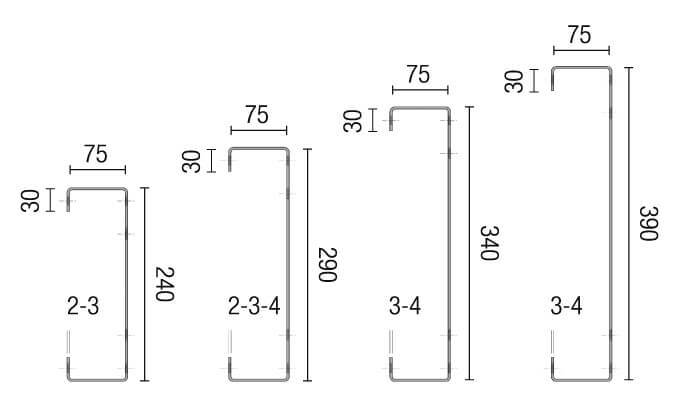 More versatility: 3 types of columns. 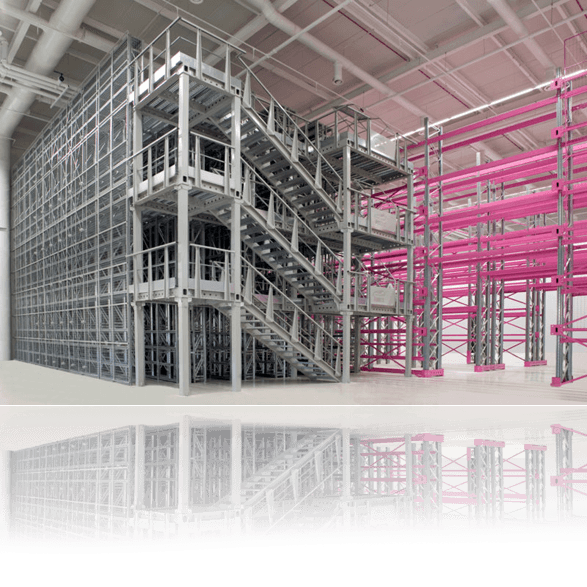 To build structures with each type of structural mesh. 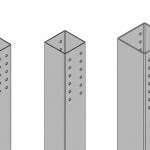 Three types of profiles, together with the different thickness available, allow you to use the column of the appropriate size to your specific needs. 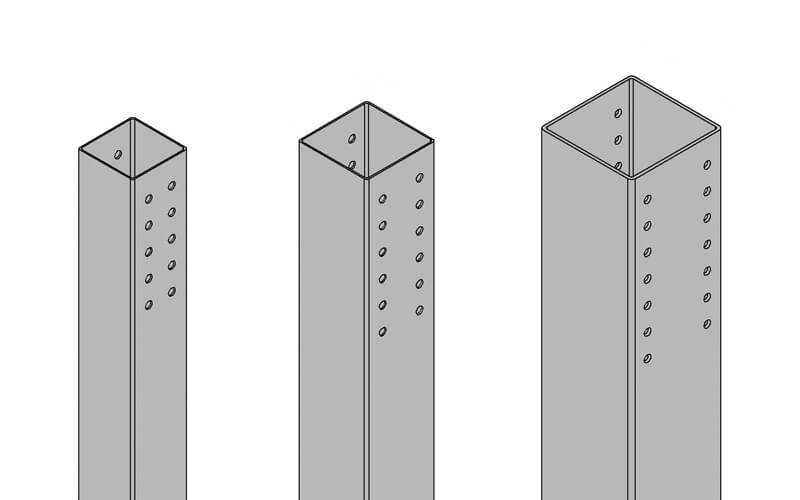 This variability allows to obtain the column correctly sized for any type of structural mesh: this allows to achieve intermediate floors in multi-storey, compliant to, on request, also the new anti-seismic criteria. 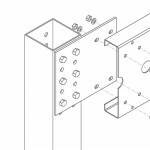 More versatility: 4 beam profiles. 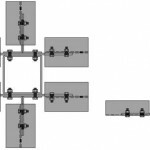 To build structures with each type of structural mesh. 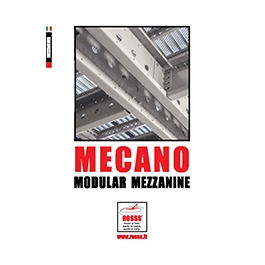 4 profiles of beams available make Mecano a flexible system capable of meeting different needs in a versatile way. Easier assembly: cold formed. The structural elements are lighter. 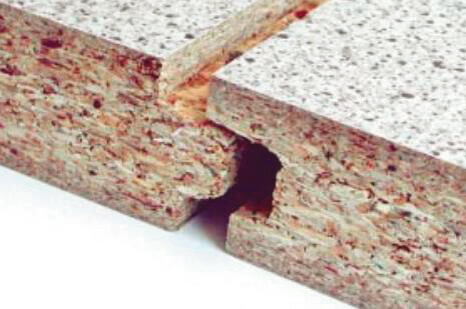 The lightness of the elements, which derives from the fact that profiles are cold formed, makes the mounting phase easier. 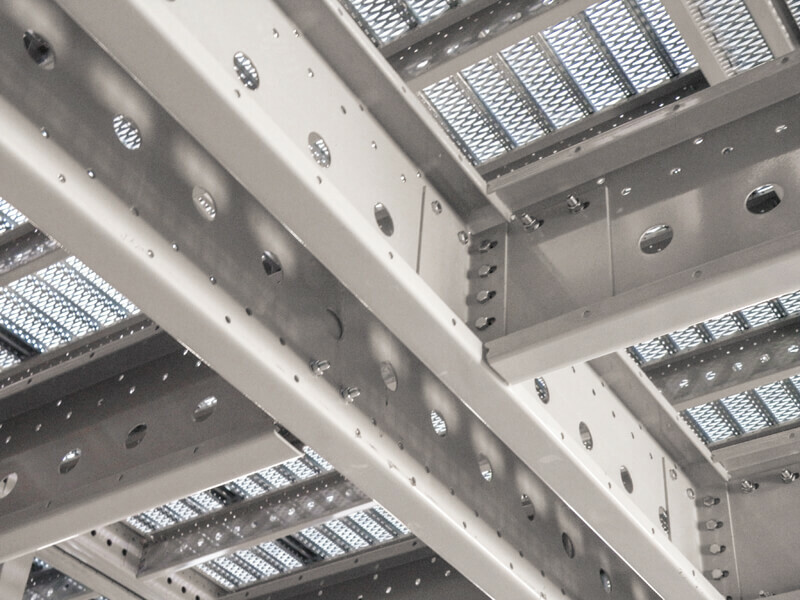 Braced system according to the seismic destination and of the structural characteristics of the plant. 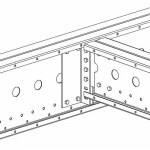 The steel used for the realization of base plates is of 3.1 certificate structural type S235JR. 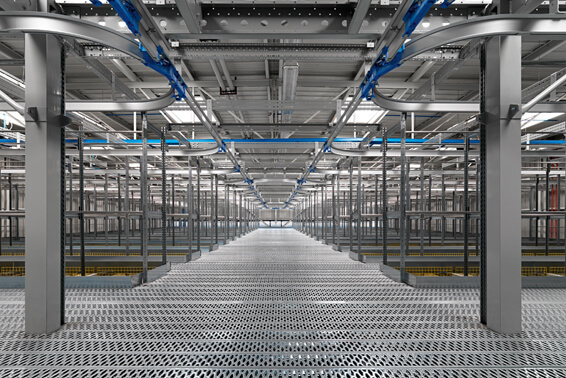 The steel is made from galvanized coils with laser cutting. 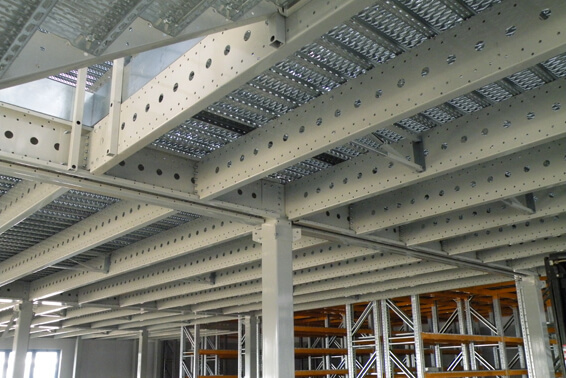 The steel used for the realization of girders is of 3.1 certificate structural type S235JR. 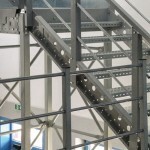 The steel is made from galvanized coils by profiling. 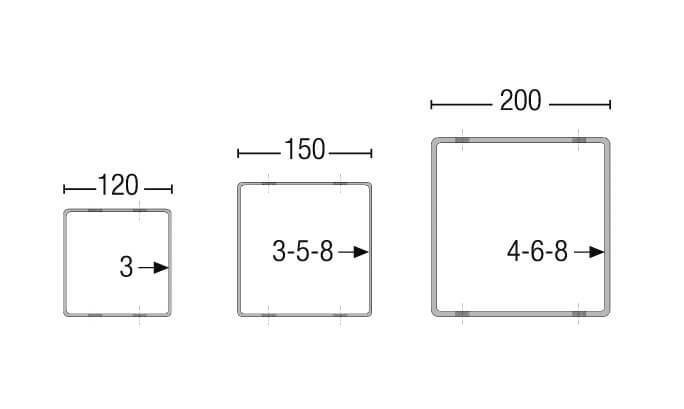 The steel used for the realization of base plates is of 3.1 certificate structural type.B, S235JR, with minimum unit yield stress of 235 N / mm2. 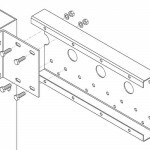 The product is obtained by molding, by punching and subsequent bending. 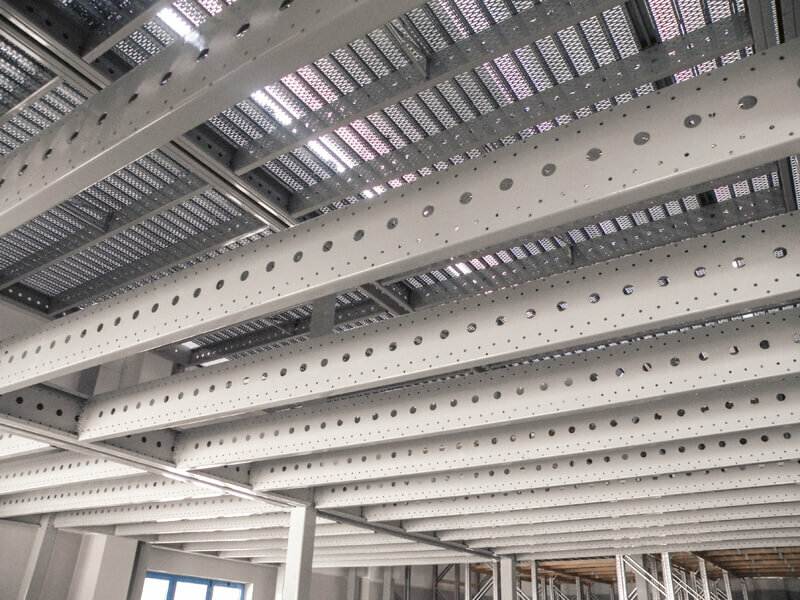 The steel used for the realization of the columns is 3.1 certificate structural type, S 235JR, of tubular section.